Paulownia Estate is located a couple of kilometres east of central Masterton in the beautiful Wairarapa Valley. Initially a run down dairy block when in 1995 Vaughan and Christine Paul purchased it with the aim of planting a small vineyard and contract growing for local wineries. 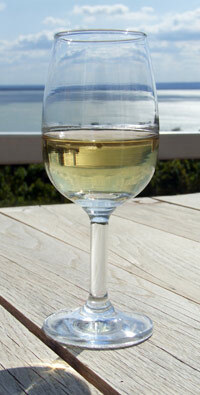 In 1998 the first blocks of Riesling and Merlot were planted. Over the proceeding four years blocks of Pinot Noir, Pinot Gris and Sauvignon Blanc were added to complete the nine hectare vineyard. Being in the upper reaches of the Wairarapa Valley on fertile alluvial loam soils overlying ancient river gravels, it tends to be a little cooler than their southern neighbours, so bud-burst in spring is often a few days later and harvest can be two – three weeks later than in Martinborough. This additional time on the vine helps to ensure that their fruit develops strong varietal characteristics that are carried through to very distinctive wines. 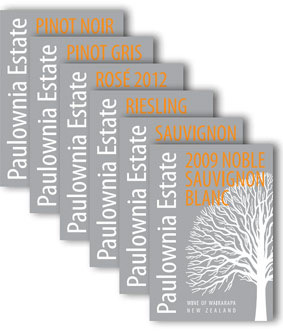 Paulownia Estate wines are available to taste and acquire by appointment. Contact us to arrange a visit - call 06 370 1170.